The May issue of RV Consumer E-Magazine was just released by RV Education 101. 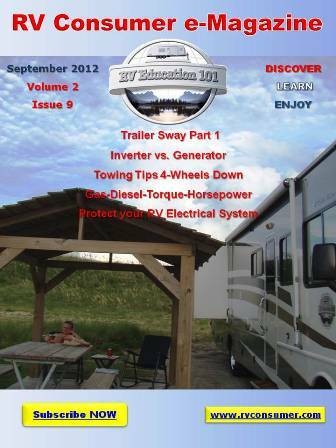 The May issue of the e-magazine addresses RV topics and RV information about how RV values are determined, selecting the right inverter and concerns about tow ratings. This issue also includes aftermarket RV products, an interview with RV Travel’s Chuck Woodbury and much more. All of this great RV information is just a click away. If you haven’t heard of this new RV magazine it is a digital magazine, in a flip-book style format, delivered online by subscription. It is free of charge and your e-mail address will never be sold or used for anything other than delivering our RV e-newsletter and RV Consumer e-Magazine. For up to the minute RV news and information take a minute to subscribe and start receiving this information packed e-publication right now. Take a minute to visit our brand new RV101.TV site. 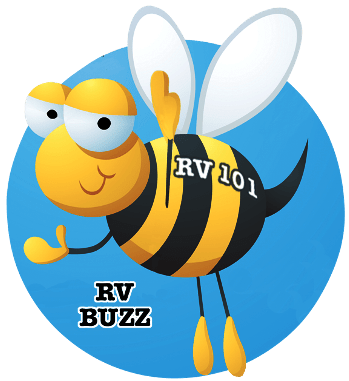 At this new site we have posted over 60 free RV how-to videos to help educated RV owmers on how to properly and safely use their RV. Take a minute to visit RV101.TV and click on a video category you are interested in learning more about.